Have the current-gen consoles finally reached their limits? Crytek's Crysis 3 is one of the most technically accomplished games of this generation, a visually spectacular piece of software that pushes graphical boundaries on all platforms. 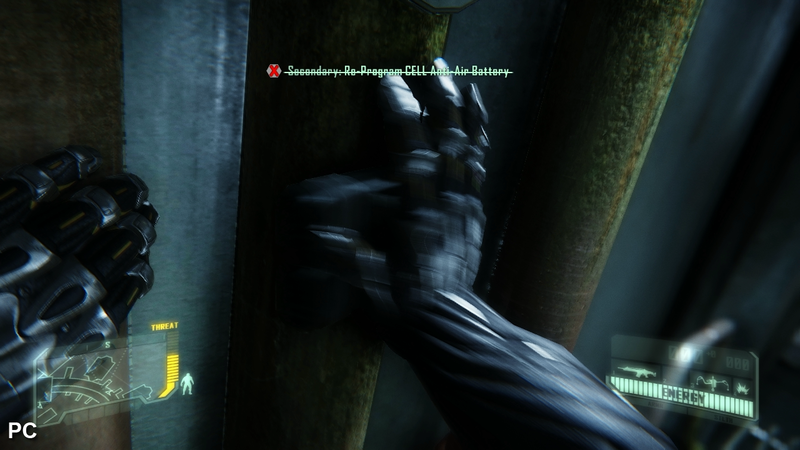 And with all its graphical settings pushed to the max, Crysis 3 on PC effectively offers a "next-gen now" experience - a preview of the level of technical prowess we should expect in the years to come from the new wave of consoles, but an experience that can be appreciated now by those willing to invest in top-end PC components. Despite the unrelenting technical charge on PC, it's remarkable to see just how much of that 'maximum' Crysis experience is achieved on console, based on the graphically epic single-player campaign. 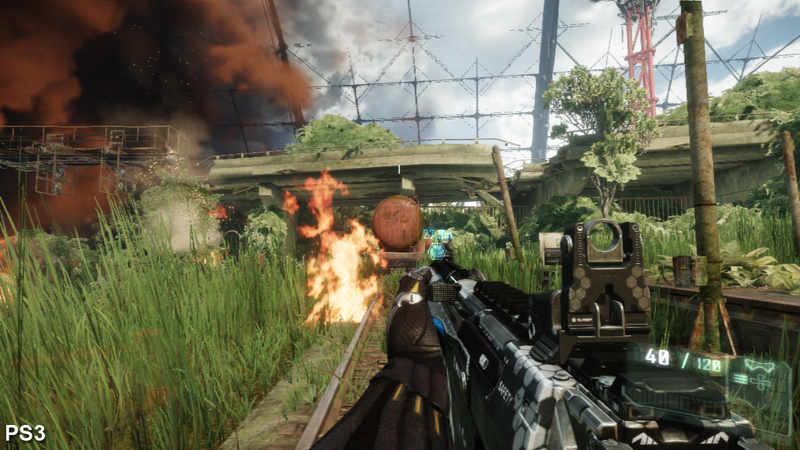 Compared to the multiplayer beta released a few weeks ago, it quickly becomes clear that Crytek isn't holding anything back, packing in a range of graphical upgrades that make Crysis 3 stand out from other similar releases on current-gen systems. The large, open environments are more detailed than those found in beta on all three formats, displaying a colossal amount of foliage, while both lens flare and object blur are restored, having failed to make the cut in the PS3/360 beta code. 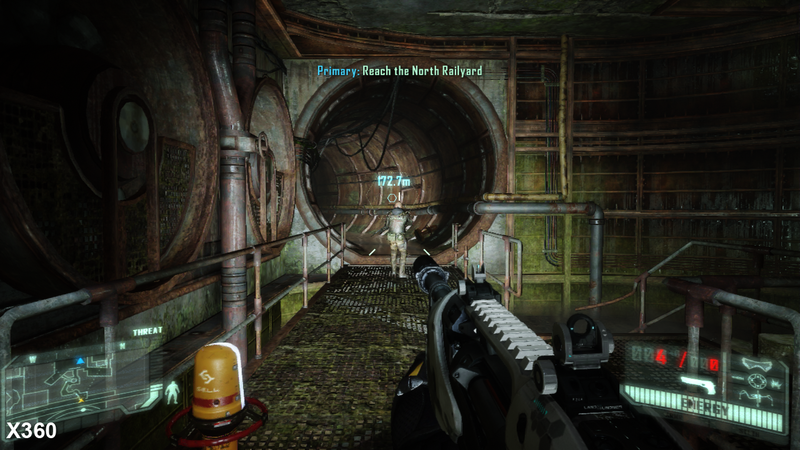 Asset steaming is also faster, addressing the texture and geometry pop-in that impacted console Crysis 2's image quality. The new campaign also offers a notch of graphical quality beyond its predecessor - something not many expected given how much that title pushed the Xbox 360 and PS3. 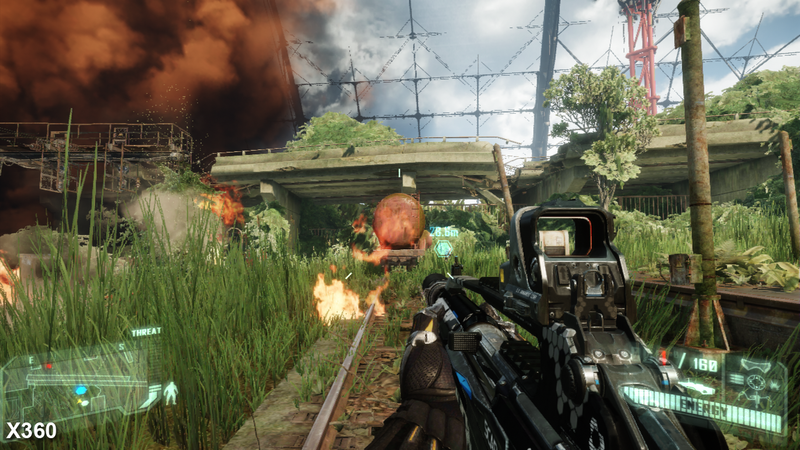 The core Crysis visual experience is clearly in effect on all platforms, then, but how well do the console versions hold up to the behemoth PC game? Has Crytek's ambition in creating its most visually advanced game compromised the core gameplay to the point where the performance impact outweighs the graphical gains on offer? Let's kick off with a range of head-to-head videos and an accompanying triple-format comparison gallery. "Similar to previous CryEngine 3 games, Xbox 360 commands a resolution advantage over PS3 but image quality is mostly like-for-like." Crysis 3: Xbox 360 vs. PlayStation 3. Be sure to select the 720p HD option and use the full-screen button for full resolution. 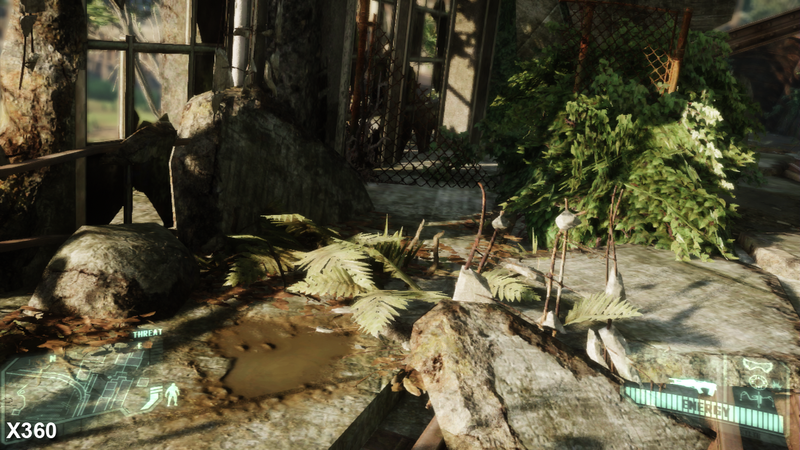 Similar to previous console CryEngine 3 titles, all the attention to detail put into the environments, characters and shader effects means that certain compromises are made in order to get Crytek's vision up and running within the memory and processing limitations of 360 and PS3 hardware. Just as we saw in the multiplayer beta, framebuffer resolution in Crysis 3 remains at 1152x720 on 360 and 1024x720 on the PS3, with the "Post AA" solution used in Crysis 2 dropped in favour of SMAA TX2 (sub-pixel morphological anti-aliasing with a temporal component). The new post-process algorithm actually delivers better coverage across some parts of the game, only failing when faced with either long edges or sub-pixel heavy objects, such as metal railings or fences. Shimmering caused by shader aliasing is also an issue, but the means to comprehensively address this is beyond the processing abilities of the current-gen platforms - especially when they are already being pushed so heavily. Between the two consoles, the higher-resolution 360 version is visibly sharper due to the reduced level of upscaling taking place, but at the same time the difference is less apparent during gameplay than it is when shown in a side-by-side comparison. One of the key reasons for this is the way in which much of the foliage is rendered during the campaign: a large amount of greenery is actually made up of textured geometry (compared to mainly alpha-blended sprites in the beta/online modes), so when upscaled they don't suffer from having the chunky and blurred appearance that plagued these elements on the PS3 version of the Crysis 3 beta. That said, these side effects are still present on 2D rendered elements on both versions, such as the branches of trees and various plants. On the PC there are no such issues. Rendering natively in 720p and beyond, imagery remains clean and sharp and this is further boosted by a range of selectable anti-aliasing modes. Different levels of FXAA, SMAA and traditional MSAA are available, with the two post-process solutions having less of an impact on performance, while the latter results in the best-possible image quality when used at very high levels. For those running Kepler Nvidia hardware, TXAA is also an option. Generally speaking, the use of 4x SMAA seems like a good overall compromise - the technique uses temporal re-projection of two samples between frames (along with MSAA samples) in combination with a cheap post-process edge blur that smoothes over jaggies but leaves texture details unscathed. The extra layer of sharpness on offer is certainly impressive. 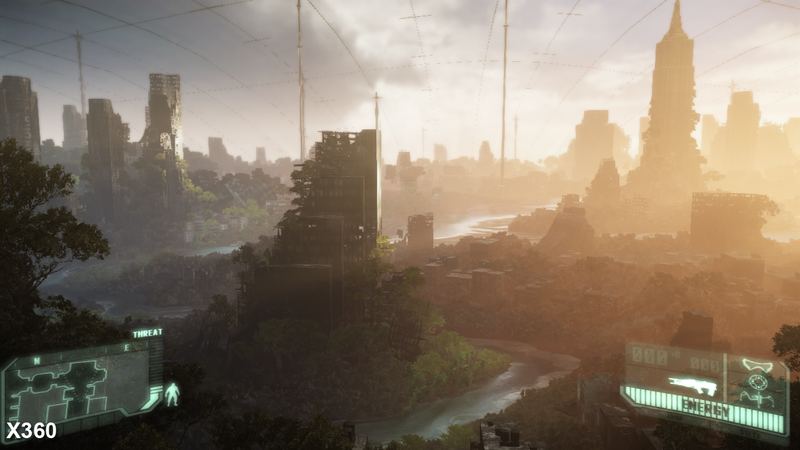 "With the arrival of next-gen consoles, Crysis 3 is an intriguing glimpse into a 'cross-gen' future, where game engines are scalable between generations with some massive differences." 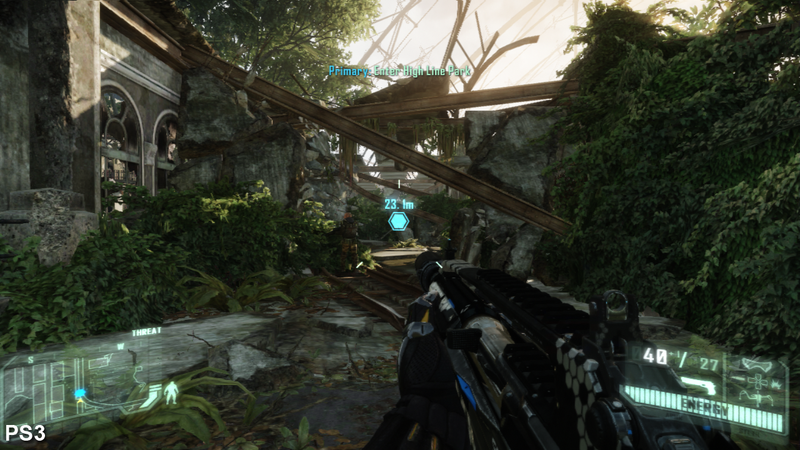 Crysis 3: PlayStation 3 vs. PC. An alternative look at how the game stacks up once more advanced rendering hardware is brought into the equation. For the most part Crytek has weaved its technical wizardry exceptionally well across all three platforms via the use of advanced shader effects and a sublime lighting model, all of which help to give the title a more dramatic look that offers superb levels of realism in a very cinematic presentation. On the whole, the various differences found between the consoles come across more like calculated optimisations rather than glaring cutbacks. Higher-quality normal maps are used on the 360 on some objects and general draw distances appear to be slightly better on the Microsoft platform, for example, and the level of anisotropic filtering is also given a small boost, leading to slightly greater clarity on distant surfaces. On the other hand, texture detail is mostly identical, bar the slight reduction in clarity caused by the lower-resolution framebuffer on the PS3 and the inclusion of an odd texture bug on the 360 that very occasionally leaves artwork covered in large blocky pixels. Compared to the beta, the streaming of artwork is now basically equal between the two consoles, with reduced levels of visible pop-up. Transitions between quality levels are easily seen when approaching new areas, but after this the effects are far less noticeable. 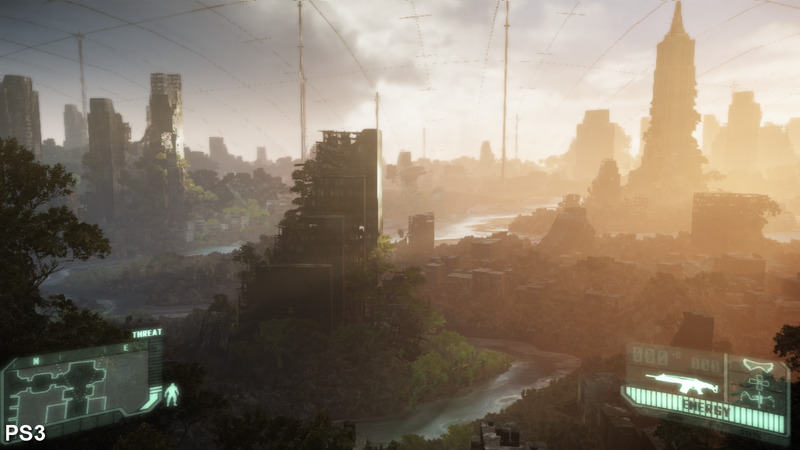 As you might expect, the PC release features more fleshed out landscapes that better immerse players into the world Crytek has created. On first impressions the console releases are a fairly close match to the core look of PC game overall, but the computer version offers up a more refined, technologically turbo-charged vision of the game that is simply beautiful and at times jaw-dropping to behold. Streaming problems are almost non-existent, while the use of extremely high resolution textures and far better filtering allows the finest details - such as wrinkles on faces and subtle grooves on the decaying walls of buildings - to come across with ease. Higher-quality normal maps and subtle use of tessellated geometry also help to gently smooth out various objects when viewed up-close. Additionally, pixel-accurate displacement mapping adds intricate detail to objects without the need for complex geometry or tessellation in scenes where the engine may be vertex shader limited. 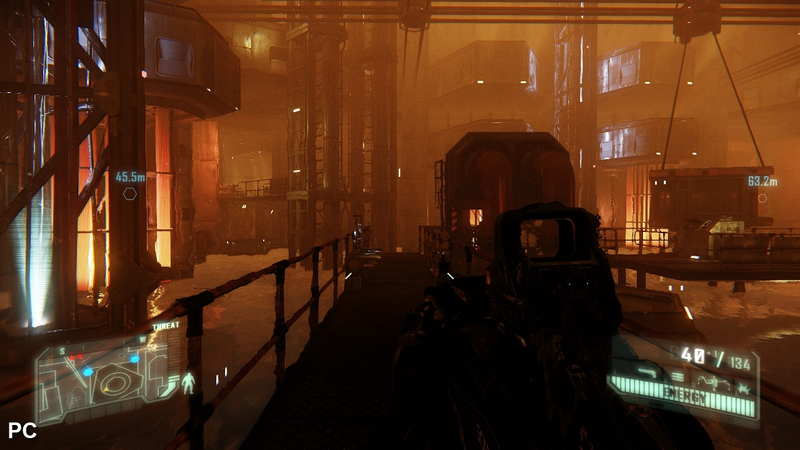 The use of deferred shading once again results in a superb lighting system on all versions, with hundreds of lights rendered in order to simulate global illumination on both consoles - only the PC release features the developer's bespoke "single bounce" GI solution, which has been updated for Crysis 3 with the inclusion of glossy reflections on some surfaces. 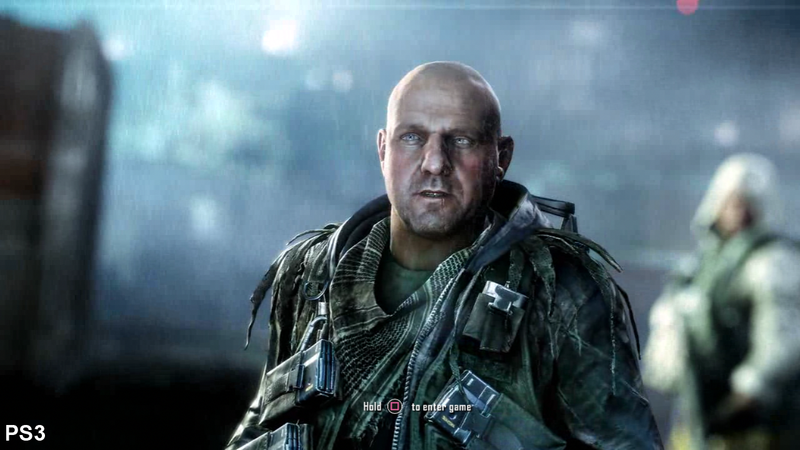 The way the combination of natural light sources (along with gunshots and explosions) illuminate the environments and characters is highly realistic and very impressive, and this is further bolstered by the inclusion of screen-space ambient occlusion (SSAO) and through the use of a greater number of lights on PC. The advanced use of water caustics also carries over to all three platforms (which sees the three-dimensional body of water react to characters and objects passing through it), albeit in a much simpler form on consoles which lacks the same level of interactivity that is present on PC. Here, the expanded lighting model sees light sources reflected off the water's surface and into the surrounding walls and ceiling in underground areas. 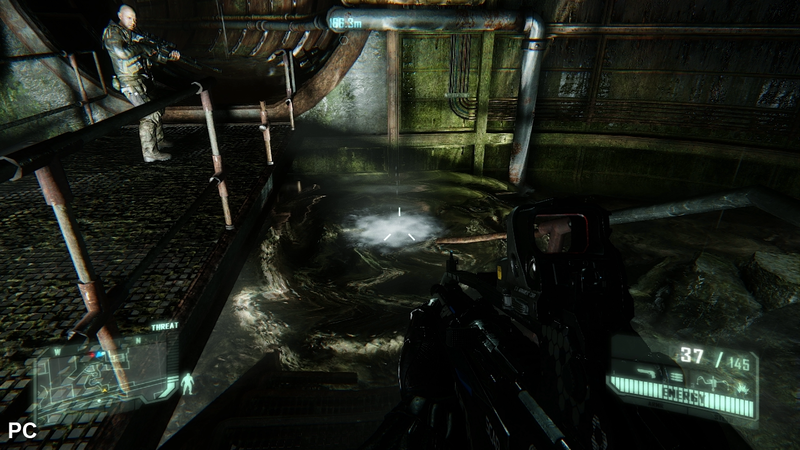 Advanced water caustics make their way into Crysis 3 in spectacular fashion on the PC, with the full body of water intricately reacting when objects collide and pierce through its surface. The surrounding scenery and characters are also fully reflected in the water's surface, along with light sources that bounce into the walls, which in turn cast shadows that ripple across the environment. On the consoles these impressive reflections are entirely absent, and the interactive water implementation greatly simplified. Crytek's use of a deferred shading set-up breathes atmosphere and realism into the various locations featured in the game. PC owners get more light sources than on consoles, with most of these casting shadows across the environment. Single-bounce global illumination (from sunlight) is also present on the PC, along with glossy reflections and refraction. The former is partially simulated on consoles via the use of individual lights, but never quite fully replicates the effect. We also see the inclusion of variable soft shadows when using area lights - this results in more realistic illumination of indoor scenes with smoother scattering of lights sources and shadows across the surrounding environment. In many instances one area light can simulate the present of many light sources shining down from above, each casting their own unique shadow. 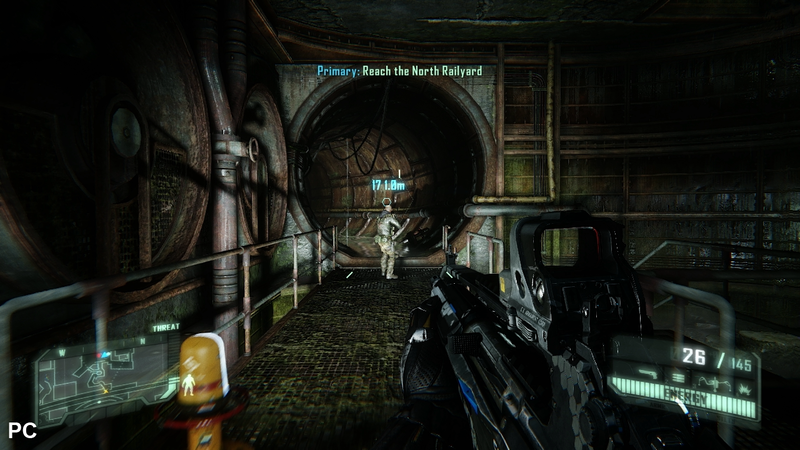 All three versions of Crysis 3 feature far more detail in the main campaign than in online multiplayer modes. Draw distances are slightly longer on the 360 - as evidenced by the extra building in the distance in the above shot - but on the PC we are presented with more detail in the form of additional buildings and foliage. Screen-space ambient occlusion is noticeably absent in Crysis 3 on the 360 and PS3, but on the PC the effect infuses scenes with a considerable amount of extra depth and three dimensionality. Ambient shading carefully fills out all the little nooks and crannies in various locations complementing the increased number of shadows cast by lights on the platform. 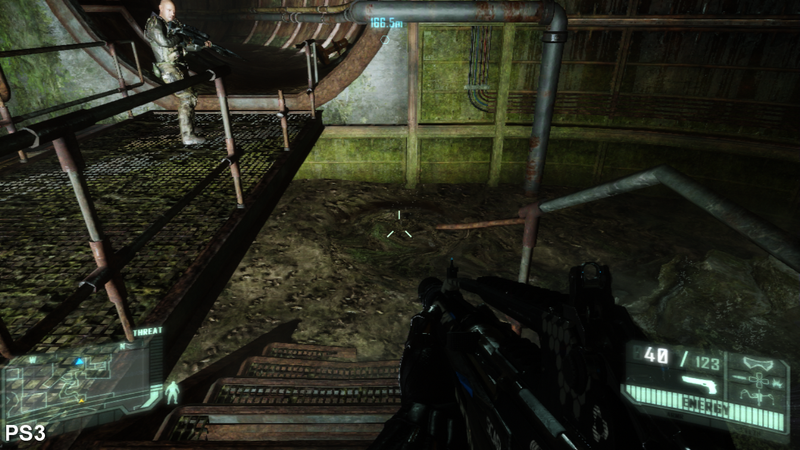 FMV sequences are used sparingly throughout Crysis 3, mainly playing during mission interludes and in the intro that kicks off proceedings. For the most part cut-scenes are rendered in real-time using in-engine assets. Video clips appear quite heavily compressed on the consoles: the quality of the footage is identical between 360 and PS3, with macroblocking artifacts visible even in dark scenes. In comparison, these sequences are given higher-quality encodes on the PC, reducing compression issues. Seeing as the game fails to fill up a single-layer Blu-ray disc on the PS3, it's disappointing to find that the extra space hasn't been utilised to deliver FMVs that are of the same standard. An increase in the amount of shadows being cast also gives these scenes a significant amount of atmosphere that is lacking on the consoles, where we find the lighting model is flatter and less dynamic in many areas. 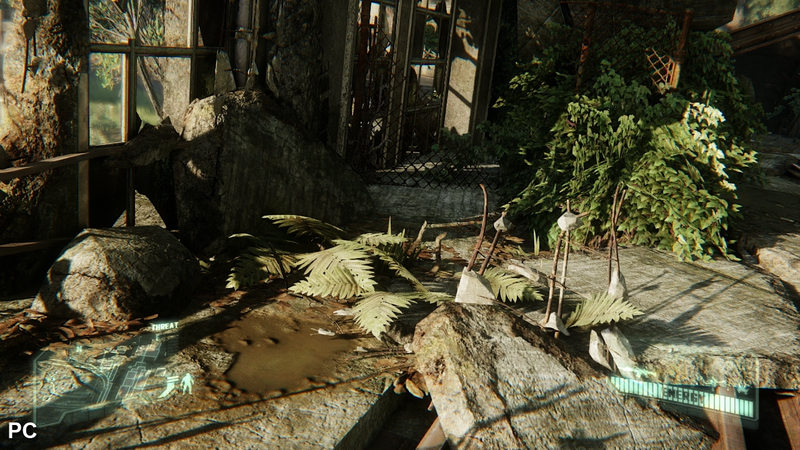 Shadow quality on all platforms is visibly improved over that of Crysis 2, appearing smoother and more refined. On the PC most lights appear to cast shadows across the environments, and these are both better filtered and rendered in a higher resolution than on console - these elements also appear a little thicker and more defined on the 360 compared to the PS3. An offset bias between platforms also means that shadows fall differently on the PS3, causing distant objects to look heavily set in the shade. Crytek's use of advanced rendering techniques don't stop there, of course: various post-processing effects are employed to add to the intensity of certain scenes throughout the game - grain/noise filters are used for atmospheric effects in a number of areas on the PC, which are absent on console. Camera and object blur, along with other screen distortion effects are present on all three platforms but feature higher-precision implementations on the PC. Motion blur is also used more liberally in order to give the game a more cinematic feel, but as a side effect it also makes frame-rates appear smoother than they really are. Additionally, smoke and particle effects are more detailed on PC and we also see the inclusion of advanced character and environment reflections not found on either console. Overall, there's no question that the PC game offers up the definitive visual experience and it clearly gives us a glimpse at the kind of rendering quality we expect to be seeing in titles running on the next generation of consoles with regards to level of detail on offer and the advanced nature of the effects work. 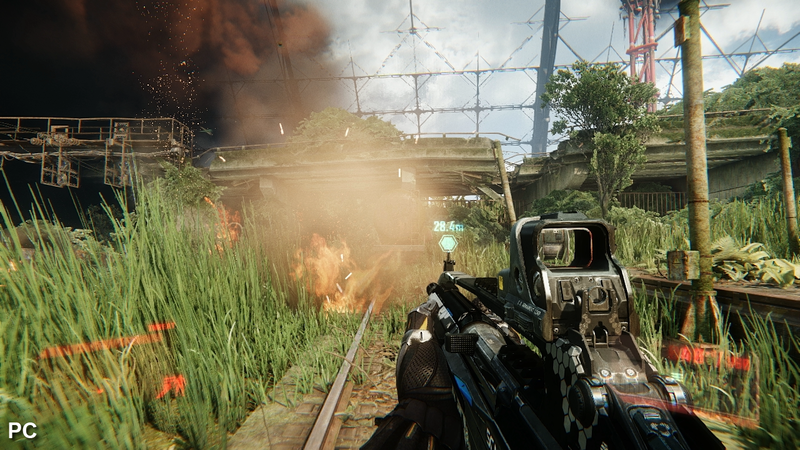 However, Crysis 3 is also a game that requires some serious grunt under the hood to run the game at its best. Even opting to use lower-quality settings still gives lower-range enthusiast cards trouble when aiming for the definitive 1080p experience at 60 frames per second. 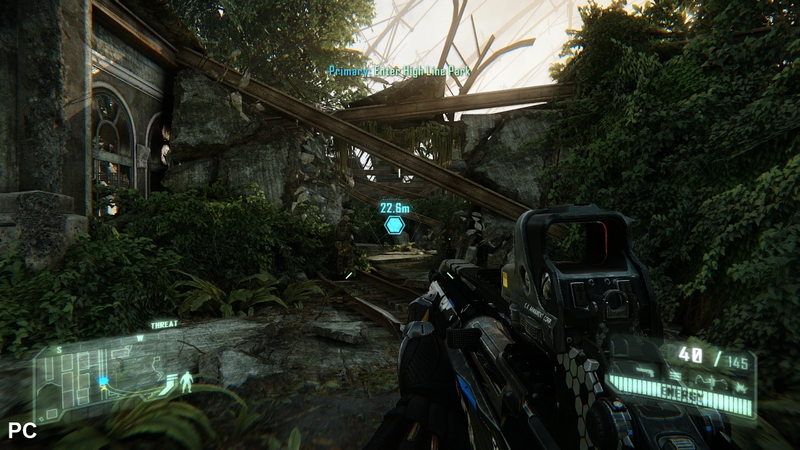 Post-processing features heavily in Crysis 3. Screen distortion effects are used in all three versions of the game, such as when the nanosuit is temporarily disabled or taking damage. The PC version goes one step further by adding in additional film grain/noise filters into the mix, in this case used to demonstrate atmospheric properties the heated room has on Prophet's nanosuit in the above shot. 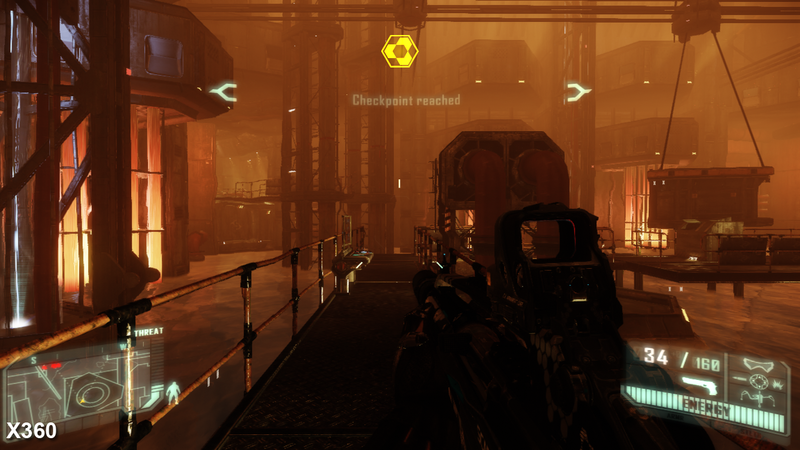 Volumetric smoke, fog and fire effects are used throughout Crysis 3, with these elements featuring a thick three-dimensional look to them. While these elements are identical on the consoles, explosions are made up of a greater number of layers on the PC game, lending these effects a fuller appearance, and additional smoke and particles can be found in many scenes. Particles also recieve both sunlight and shadows, which add volume to the effect in the form of particle shafts drifting through the air. 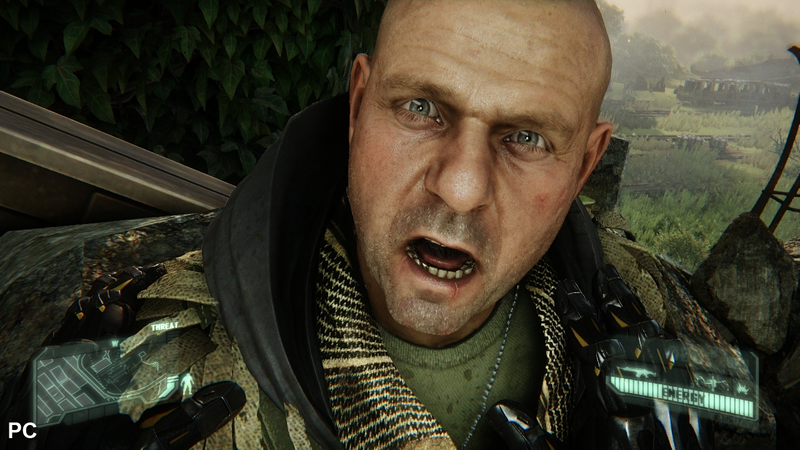 Crysis 3 blends together advanced skin shaders with exemplary texture work to create highly detailed characters, with subtle elements - such as fine lines and pores - visible up close. This is especially noticeable on the PC, where higher-resolution textures are used in combination with more refined surface shaders and pixel-accurate displacement mapping. In comparison, intricate details are less defined on the consoles due to lower-res textures and the use of sub-HD framebuffers, with things appearing slightly blurrier on the PS3 due to the heavier upscale taking place. 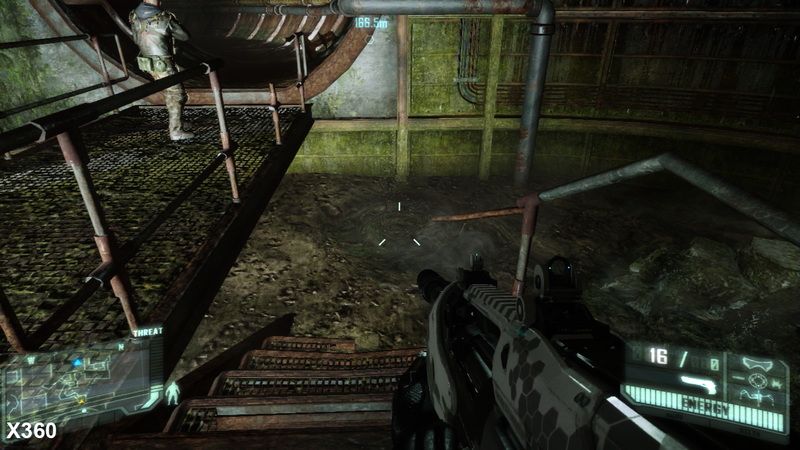 The above shot demonstrates the gap in quality between the PC and console versions of Crysis 3 quite nicely: the console versions feature significantly lower-resolution textures and normal maps, which resolve less fine detail present in the scene. Notice the distinctly textured surface of the muddy water on the PC. 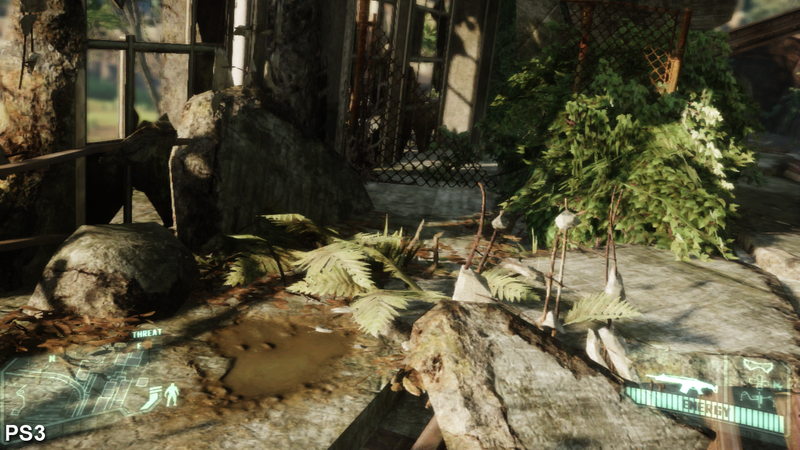 Shadows also have a noticeably dithered appearance to them on the consoles, although Crytek's jitter-based filtering technique helps to smooth over any harsh edges caused by their low-resolution nature. In comparison, smooth and well-defined curves are present on the PC game, on shadows both close up and far away, with far more samples being used to accurately resolve these elements with less noticeable artifacting. Even when selecting the most demanding very-high preset, motion blur quality remains fixed at medium levels unless manually adjusted. Even at the default level camera and object blur is used more liberally than on consoles and appears cleaner on the PC. The effect is also more precisely applied to various parts of the screen - details closer to the camera can be given an increased amount of blur compared to objects further away. Our Core i5 and Radeon 7870 combo barely managed a sustained 20FPS when running in 1080p with maximum settings enabled - and 720p fared little better. Instead, lowering various elements - such as shadows and object quality - along with downgrading from 4x SMAA to SMAA TX2, allowed us to reach 30-50FPS on average in 1080p, while using the low preset for everything bar texture quality and anisotropic filtering (very high and 16x) put us right in the ballpark for some reasonably consistent 60FPS action. We were still left with judder caused by uneven frame latency, so switched to 720 in order to eliminate these issues. Perhaps our ageing i5 CPU is what is holding us back here: various tests have demonstrated that Crytek's engine requires a quad-core CPU at the minimum, with AMD's octo-core processors inching ahead in terms of performance on Intel's price-comparable quad-core chips. During our time spent with the console multiplayer betas, we saw the game struggling to maintain a consistent 30FPS in the middle of heated combat scenes with smaller dips manifesting when traversing across the environment in more detailed areas. The drop in performance was somewhat disappointing compared to Crysis 2's multiplayer modes - which run far more consistently at 30FPS - showing that Crytek was finding it difficult to maintain a smooth gameplay experience while upgrading the quality of the visuals on offer. 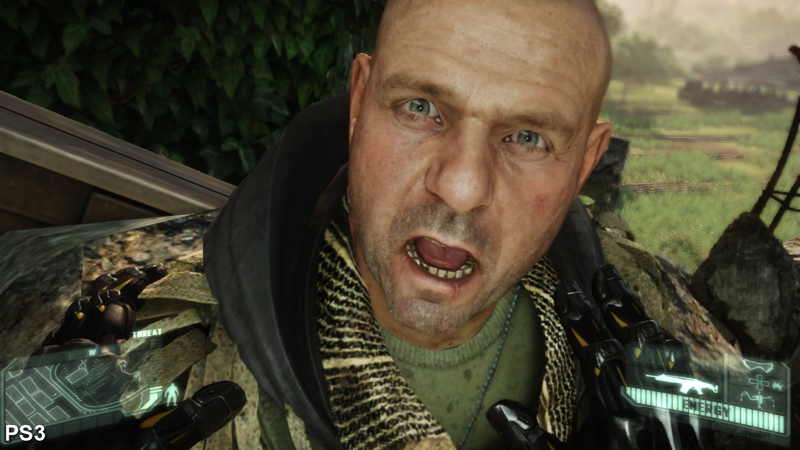 Crysis 3's single-player campaign ups the ante still further: detail levels are considerably higher and we also see an increase in the number of demanding visual effects being used. As a result the overall experience on offer during this portion of the package is significantly worse than the multiplayer modes. Just like Crysis 2, frame-rates are far more variable and there is a distinct lack of consistency with regards to the controls that makes aiming and shooting during far more difficult. While Crytek targets a 30FPS update on both consoles, in practice neither system manages to achieve anywhere near that level of smoothness on a sustained basis. In some like-for-like scenes with short draw distances and few effects on-screen, both versions manage 30-32FPS for short periods of time but the engine fails to sustain this for long. Instead we see general frame-rates hovering between the 24-28FPS mark on the 360 across a general run of play, with the PS3 version regularly falling behind when confronted with longer draw distances and a more taxing variety of shader effects and lighting. Less demanding action sequences see the PS3 keeping up the pace, but the advantages shown by the system in general combat in Crysis 2 are nowhere to be found. Much of the game is set in lush foliage-covered environments featuring plenty of complex geometry and heavy use of alpha-based greenery - taxing stuff for the consoles - and we find that the level of smoothness fluctuates constantly on a regular basis on both formats, ultimately leading to incredibly variable controller response that barely manages to stabilise. Firefights against just one or two enemies can bring frame-rates crashing down, even when slowly sneaking around areas in which draw distance and heavy details are reduced. "There's a feeling that the current-gen consoles could be facing the end of the road - Crysis 3 is playable on Xbox 360 and PS3 but performance is massively variable." Crysis 3 performance compared on Xbox 360 and PS3. 30FPS is the target, but the demanding load exerted by the visuals takes its toll on both consoles to varying degrees. At the lowest point, frame-rates plummet down close to single digits in some areas - even when there is apparently little in the way of hectic action taking place. During a short section of gameplay taking place in a small building early on in stage three, we witnesses by far the biggest sustained drop in performance on both versions of the game. As we were slowly making our way out of an elevator and into a confined room frequented by just two enemy personnel, frame-rates took a dive down to a sustained 14FPS on the PS3 and 16FPS on the 360 before exiting the immediate area, in which case we were still looking at sub-30FPS performance on both consoles. Given that the level of fluidity is so variable for the most of the experience, it's surprising that Crysis 3 manages to be as playable as it is. For example, carefully stalking enemies while armed with a supercharged bow is one of the best aspects of the game. 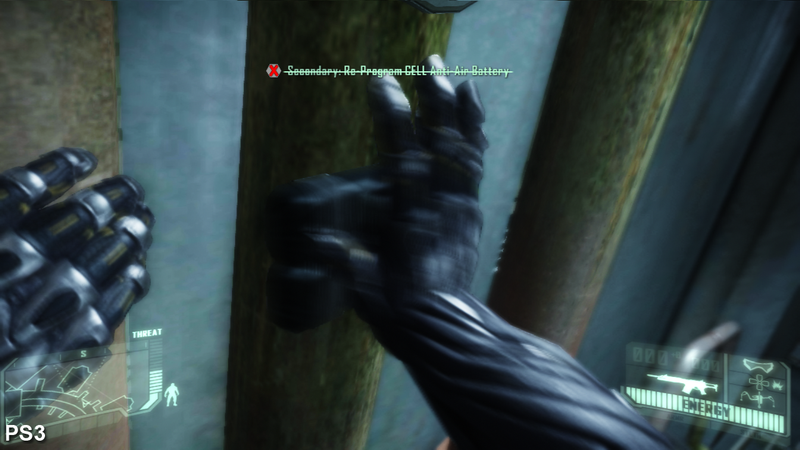 This requires a certain degree of granularity in the controls that is tricky to master when dealing with the dodgy frame-rate, and yet with an extended adjustment period it is indeed possible enjoy this aspect of Crysis 3, albeit in a compromised manner that fails to do justice to the concept. Similarly, it's still possible to garner some obvious satisfaction from rampantly assassinating groups of enemies in an all-out assault, but the game's lack of smoothness regularly gets in the way of doing this with any kind of precision or finesse - suffice to say that the PC version is a revelation in comparison. 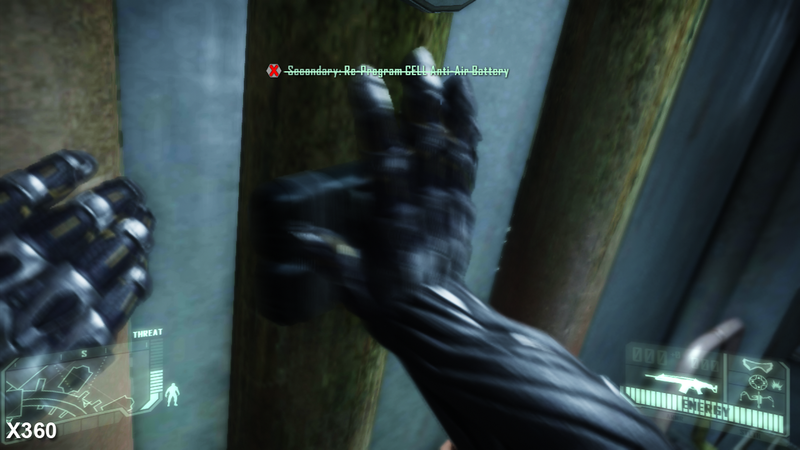 The fact that Crysis 3 runs on console at all is a remarkable achievement, with Crytek deploying a wide range of advanced rendering techniques which make the game one of the most visually impressive titles released on the current-gen consoles to date. However, the admirable desire to pursue the latest graphics technology also means that the core gameplay is heavily compromised by what can only be described as some truly shocking levels of performance. The fact is that while Crysis 3 may look stunning, it shifts between a highly enjoyable to a deeply compromised experience in a matter of moments. With that in mind, the relatively smoother frame-rates make the 360 version the more enjoyable one to play, but neither compares favourably with the PC version. Beyond the issue of performance, there's little meaningful difference between these two versions. Away from the harsh focus of direct A-to-B comparisons, the slightly softer image of the PS3 game isn't too big an issue, while the small inconsistencies in other areas won't impact your enjoyment of the game at all. 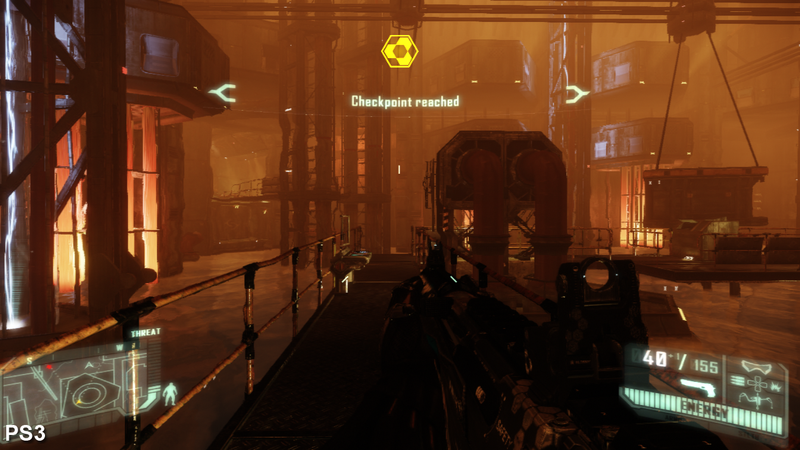 "Crysis 3 is nicely scalable across a range of PC hardware but we'd recommend an Intel quad-core CPU as the minimum with AMD's eight- core processors also performing very well." The PC version running at 1080p and with the graphical sliders ramped up to the higher settings produces a gameplay experience far removed from the compromised console editions. Where Crysis 3 really shines is on the PC, in which we are presented with a huge leap in graphical quality that gives us a tantalising glimpse of visual accomplishment on next-gen hardware. If you've got the requisite hardware to run the game smoothly at 60FPS (or indeed a locked 30) it's easily the definitive way to experience the game. However, for lower-end enthusiast systems this does mean scaling back most settings to the low preset and opting for the more performance-lite SMAA TX2 option when targeting 1080p60, while aiming for either 30FPS or 720p60 gives you more headroom to use higher-quality features. Either way, even on lower-level settings, Crysis 3 on PC still yields a far more impressive experience than either console version. 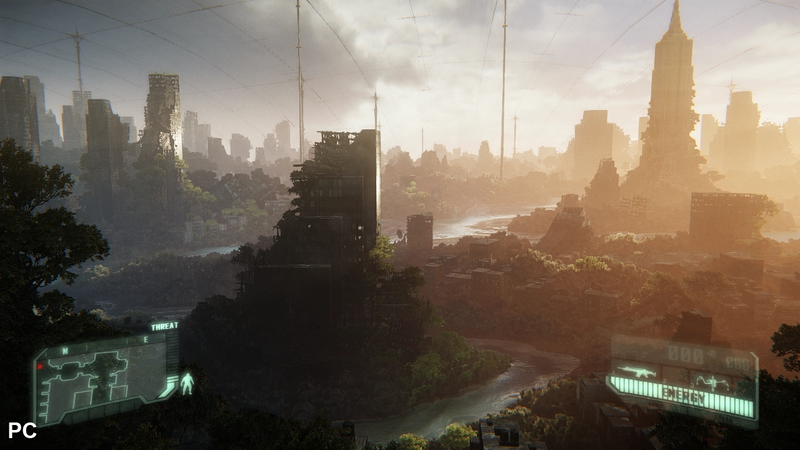 From a technical perspective, then, Crysis 3 is undoubtedly one of the most sophisticated releases to date. However, the leap forward in visual beauty hasn't quite been complemented with a similar advance in gameplay. The AI is fairly decent, featuring very realistic qualities, but is also unnaturally aggressive, while the larger, more organic environments lack the same level of scope found in the original Crysis. In that respect Crytek's decision to create a more story-focused campaign - while factoring in more of the freedoms given to the player from the first Crysis - works very well, but not without feeling that the core ideas contained within are held back by the lack of ambition in other areas, outside of crafting even bigger visual spectacles with each new instalment.